Model ECCE Formal Letter -Cb., pg. 97 ,Topic: Children Dread Parents' Business Trips- Unit 9 - Stars & Stripes by Evans V., & Dooley J., published in 2012, by Express Publishing, U.K. I really like potatoes,salami,cheese,tomatoes and lettuce in my sandwiches!!!!! I like fruit,too: bananas,apples,oranges,peaches,cherries and strawberries!! 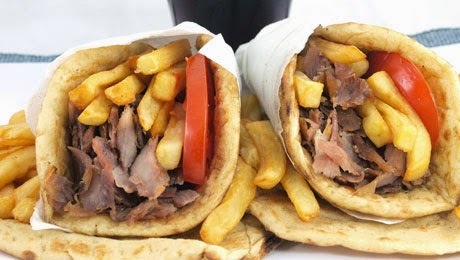 But my favourite food is souvlakiskiskiskiskiskiskiskiskis!!!!!!!!!!!!!!!!!!!!!!!!!!!!!!!!!! !